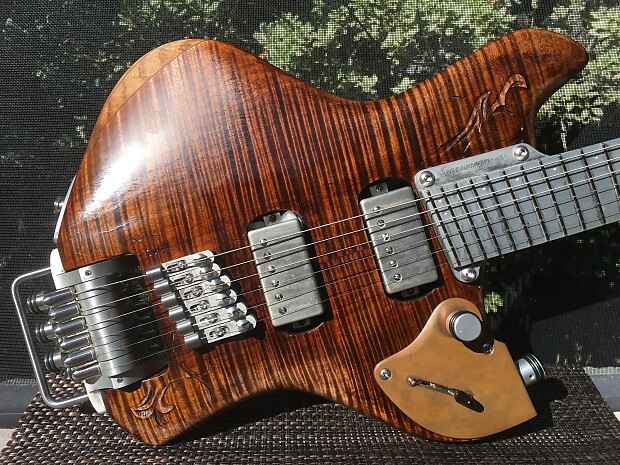 Rick Toone is arguably the finest, most creative electric guitar builder working today. Very few of his instruments are ever available for sale. When returning it, he called it "incredibly clear and articulate." Old school and new school are unlikely bedfellows... 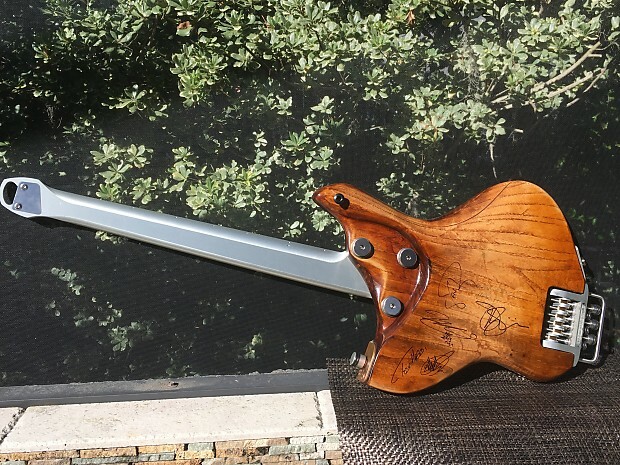 But Rick somehow has an artist's eye that makes the marriage work particularly well on this guitar. Gorgeous flame maple top. Swamp ash back. All parts lightly aged. Aircraft-grade aluminum neck that is super thin... and surprisingly instantly comfortable. 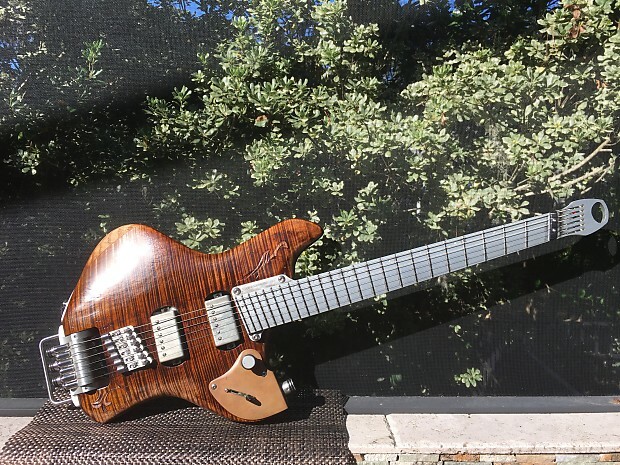 Slightly fanned frets that are also instantly comfortable... The multiscale neck is roughly Fender scale on the bass side for tight bass response, and Gibson scale on the treble side for easier bends. Have no fear, it's comfy -- the best ever. 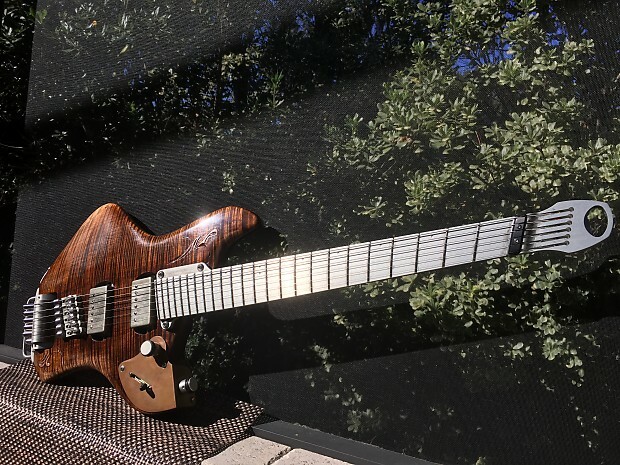 It has Rick Toone's patented tuning system... Straight string pull, total tuning stability, and you can change strings with just a guitar pick. 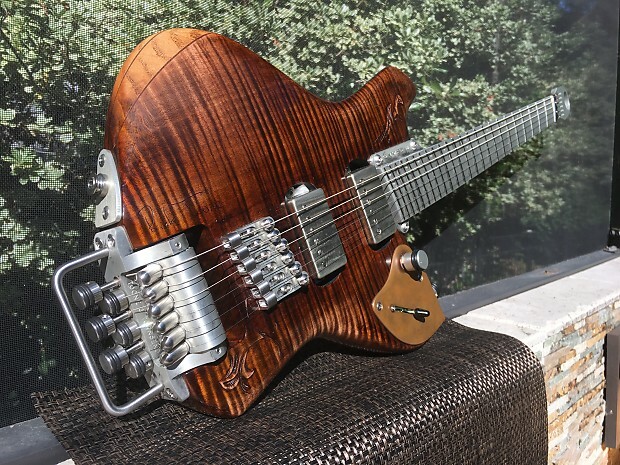 It is likely that no more guitars will be made with this tuning system any more, as it expensive to produce. 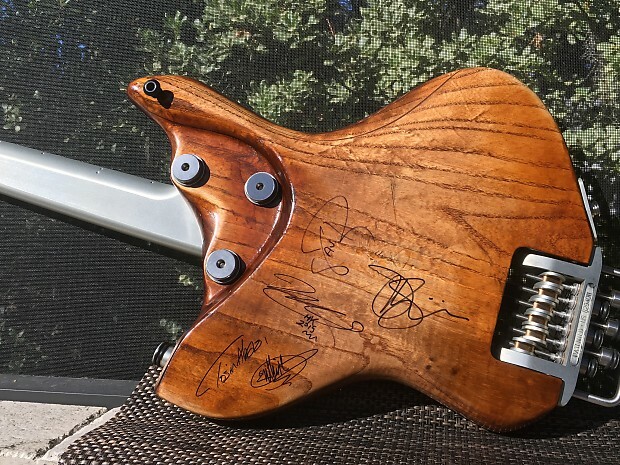 The guitar is autographed on the back by Tosin Abasi, Guthrie Govan, Joe Satriani, and Zappa guitarist Mike Keneally. 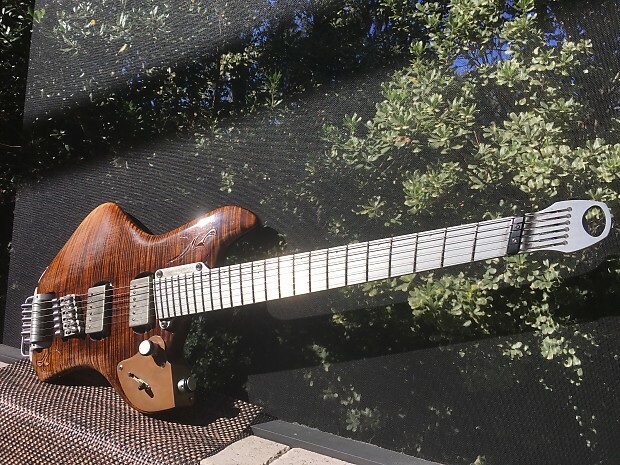 Note: Rick Toone recommends that the buyer send the guitar to him first for a tune-up so it is in top playing condition when you receive it. Rick would like to return the pickups to his stock custom-wound DiMarzio pickups as well, for the maximum possible tones.